It’s National 4-H week!!! Yeah, I was never in 4-H.
Bam. Just like that “city kid” is stamped across my forehead in red. Don’t get me wrong, as a child I knew what 4-H was, but as a suburban dweller I always felt like it was a club that excluded me. Instead I was 4-H party crasher… twice. I have an Aunt and an Uncle that are both Ag teachers, and to say I wanted to show livestock as a kid is a major understatement. I would beg my dad to take me to livestock shows just to watch, then one rainy afternoon, my day came. My cousins had too many animals to show in the sale and needed extra help, so my uncle approached me about showing a hog for them. I took that responsibility very serious for an 11-year-old, my only disappointment of that day was I didn’t have a shiny emerald green jacket to wear like everyone else in the ring. My next run-in with 4-H, I was 14. I had just moved to my Water-Tower-Town, Okla., and was really wanting to go to the rodeo that was in town for the weekend. Well tickets were expensive and I didn’t have a job. I convinced a friend who was in 4-H to grab me an extra green clover polo, and I helped her work the admission gate. Okay, so maybe my experience with 4-H wasn’t the traditional way around, but surprisingly I did gain something from it all. Growing up, I only saw the stereotypical side of 4-H; that you had to be a farm kid, or live in the country. 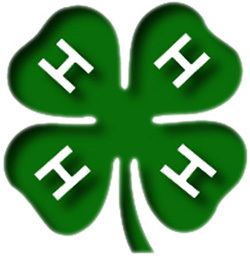 That the only way you could participate in this elusive club was if you showed livestock, which then granted you the special pass to eat popcorn and make nifty crafts in the school cafeteria after school, and that the only way you could be a TRUE 4-H’er was to wear a shiny emerald green jacket with a pretty clover on the back. The mission of 4-H is to empower youth to reach their full potential, working and learning in partnership with caring adults. The vision of 4-H is to help create a world in which youth and adults learn, grow and work together as catalysts for positive change. Not a single word in the above mentions agriculture. Sure, 4-H is/or can be a lot of ag, but it’s really about creating leaders. 4-H is open to and offers something for EVERYONE. I don’t know about you, but if I had children this would definitely be an organization I would hope they would want to be a part of. Plus, what kid doesn’t want to eat popcorn and make nifty crafts in the cafeteria after school? To find more information on 4-H, see where I pulled my information from or discover what other opportunities they offer, you can visit their website: http://www.4-h.org.